With our experience, we can tailor a system to suit your requirements. We work with you to find out what you need the system to do, we make suggestions on what we can provide, and then we deliver a package on schedule, within budget and to a standard that fulfills your expectations. There are endless questions you ask yourself when planning radio communications for an event - what radio system do we require, what coverage can we expect, how many site wide channels do we need, do we need audio accessories....it goes on and on. Using our experience we can assist you on all of these decisions. If your event is local we can deliver the equipment to you, or you are more than welcome to collect from us. If you are further afield, then we can offer an excellent standard of next day service through our courier. On the day of delivery they will text/email a one hour window and provide alternative methods if your plans have changed. We use the most reliable and trusted products in our hire fleet. All equipment is thoroughly checked before it is sent out. We fully charge and number/name every radio so that you can use the system straight away. All of our audio accessories are hygienically serviced and individually bagged. 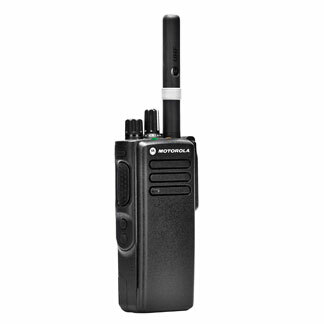 We can cater for any type of event, ranging from a simple two radio system to a multi-repeater digital system with 1000 radios. We give every customer the same level of service, taking pride in the high standards that we set ourselves. An out of hours contact number is provided so you always have confidence in our equipment. Similar to our delivery options, we can either collect from you or you can return the equipment to us in person. Our courier company can also collect from you, and provide a one hour window slot meaning you can plan your day around it! Do you have a parcel tracking reference? Click on the above link and enter your reference number to see where your parcel is!